Doctor Who: "Planet Of The Ood"
Last week I wrote that I was looking forward to the return of the Ood since I recalled them being quite creepy. I didn't figure that they'd turn "Planet Of The Ood" into the most moving episode of this show I've yet seen. Who knew the orb-headed squid-reminiscent creatures had it in them? Tonight's episode, written by Who first-timer Keith Temple, picks up the pieces left over from the Season 2 two-parter "The Impossible Planet"/"The Satan Pit," wherein the Ood fell victim to the psychic machinations of a Satan-ish villain. There they seemed servile by nature. Here we visit their home turf to get the full story. Turns out that they're deferential by design, not birth, thanks to the alterations of a vile corporation headed by an amoral executive named Halpen (Tim McInnerny) who's learned to sever an external brain that provides them with free will. What remains is a docile, eager-to-please Ood-servant that has no vocal objections to being packed up, shipped off, and forced into servitude for the low, low price of 50 credits. Just watch out for the occasional outbreak of red eye. Naturally, as veteran Doctor Who viewers might have, guessed, this will not stand. 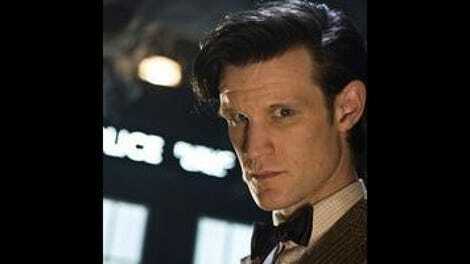 Yet here The Doctor is, by and large, more witness to change than instigator. (Though he does end up immortalized in song just as, in that not-on-Sci Fi scene he and Donna ended up immortalized in stone.) His relative helplessness in much of the episode is part of what makes "Planet Of The Ood" so interesting. Key to the episode is a scene in which he shares the Ood's mournful, psychic slave song with Donna only to discover she can't bear the pain. And what of The Doctor? He chastises Donna for failing to see the virtual slavery in place on 21st century Earth but rather casually admits to having to leave the Ood behind to die before. There's some more Time Lord realpolitik for you. Is this episode a chance to redeem that mistake or would the greatest good for the greatest number logic win out again? Clearly he's still working for good in general, but we're seeing more tough choices this season than usual, and that's part of what's made this latest batch of adventures so compelling. And on weeks like this, unexpectedly heartbreaking. - A quibble: Should we assume that the secret rebellious streak in Ood Sigma is purely the product of the giant Ood brain's influence? Should the removal of his/her external brain have removed any willfulness? I think the set-up may work better as metaphor than as an actual alien culture. 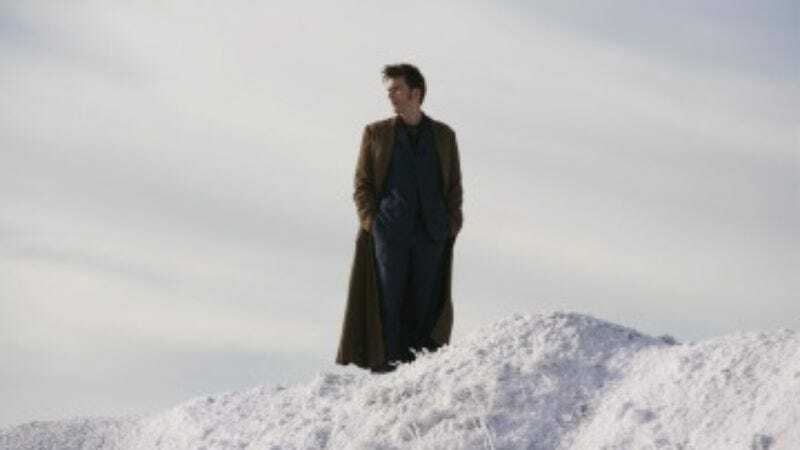 - The Doctor is happy to find "real snow" but, nope, this was shot in a Welsh mountain range last August.